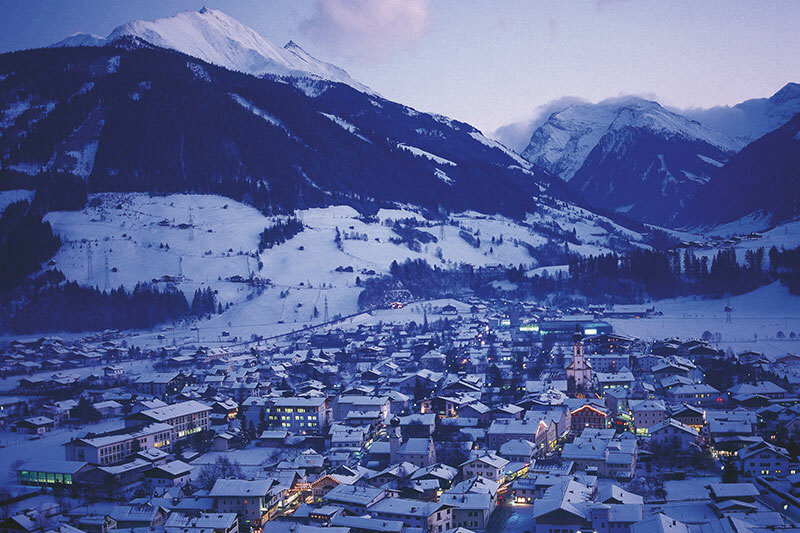 Mittersill is a good starting point for winter activities in the western part of the Salzburgerland. Whether you like alpine skiing, snowboarding, cross country skiing, sledding or snowshoeing, you’ll find winter fun for the whole family. 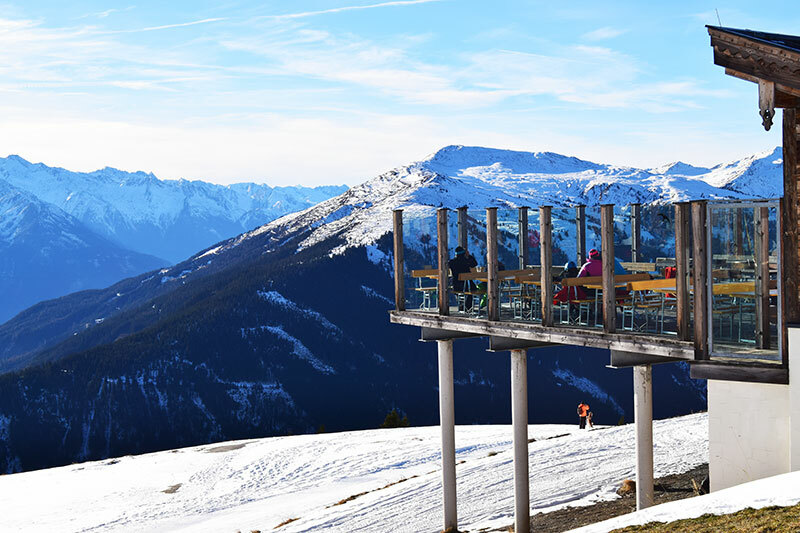 With or without skis, Resterhöhe at 1894 metres is a great place to start your winter holiday. Just 12 minutes in the gondola lift from the valley below, we arrived at the mountain top. The views of the valley below and towards the Hohe Tauern mountain massifs to the south are absolutely amazing. From Resterhöhe we gained access to 170 kilometres of slopes. 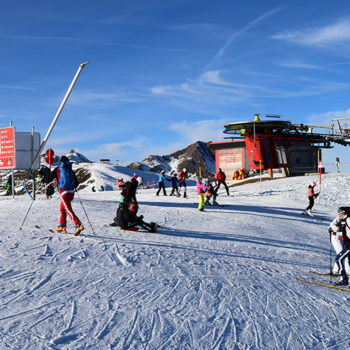 One cool thing, is that we could ski almost all day in different slopes starting from either Mittersill, Hollersbach or Thurnpass, since the slopes and lift systems are interconnected in the entire Kitzbühel Alps ski area. 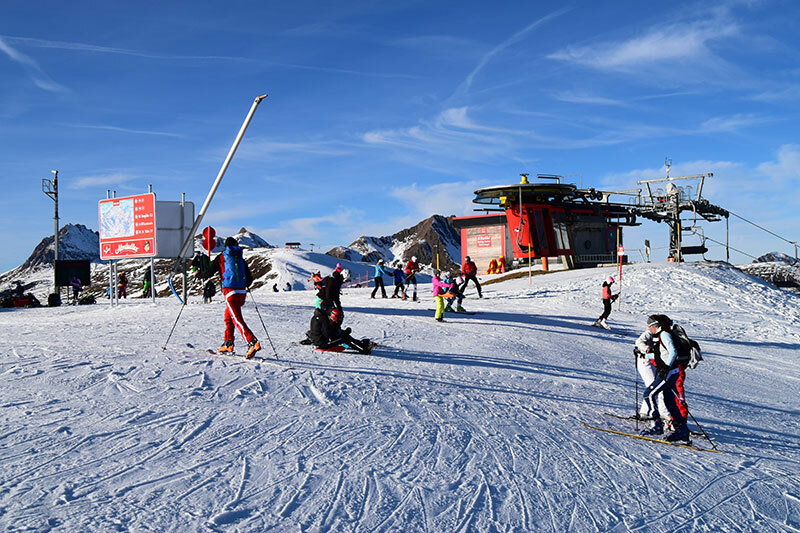 Since the facility’s at Resterhöhe are part of the KitzSki system, it means that you for example can reach the Kitzbühel Streif (World Cup downhill course) from Hollersbach / Resterhöhe, without having to take off your skis. Then of course, you need guts to ski it! 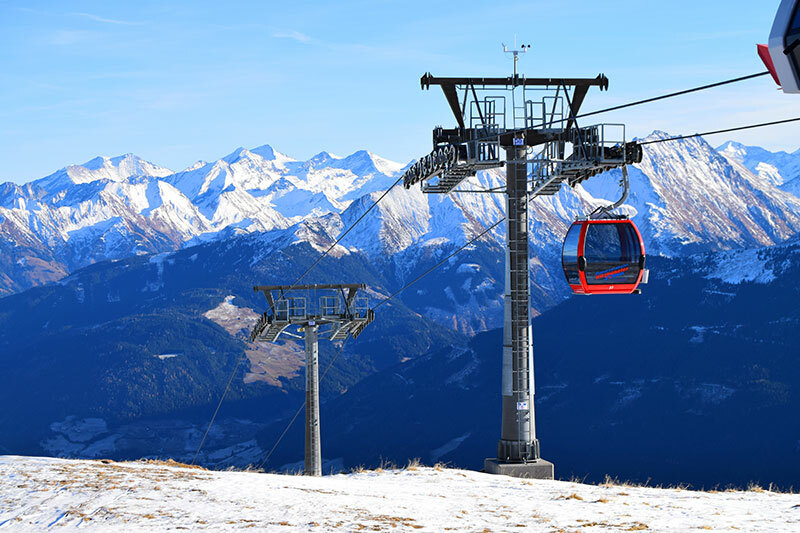 If you instead are looking to ski long runs instead of steep slopes, we recommend the 8.3 km long KitzSki Extended, which you reach with the newly constructed Maierl cable car. Don’t worry about skiing slopes away from you entry point. 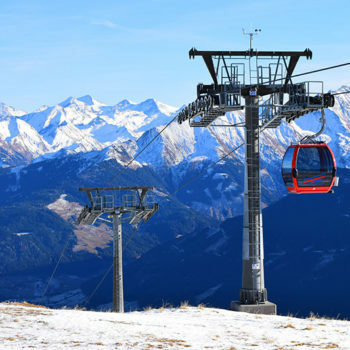 Because it doesn’t mean you have ski all the way back, since there are ski buses running from Kirchberg and Kitzbühel in the direction of Mittersill. Mittersill alos have plenty of winter activities for non-skiers. With or witjout skis, we recommend a trip to the top of the mountain, just to enjoy views or have a snack at the restaurant. 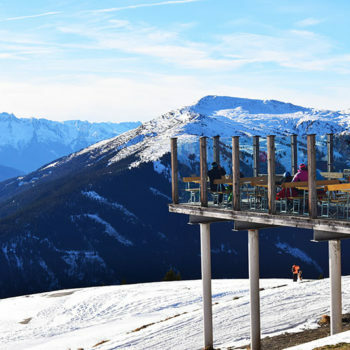 Next to the cable car station at Resterhöhe, you find a restaurant with a large sun terrace, perfect for enjoying good food and drink or just relax in the sun. Moreover, as the sun was shining from a blue sky and with a mere -2 °C, there were plenty of people were heading out along some of the marked winter hiking trails. Some trails take you further into the mountains, while other take you down to the valley. 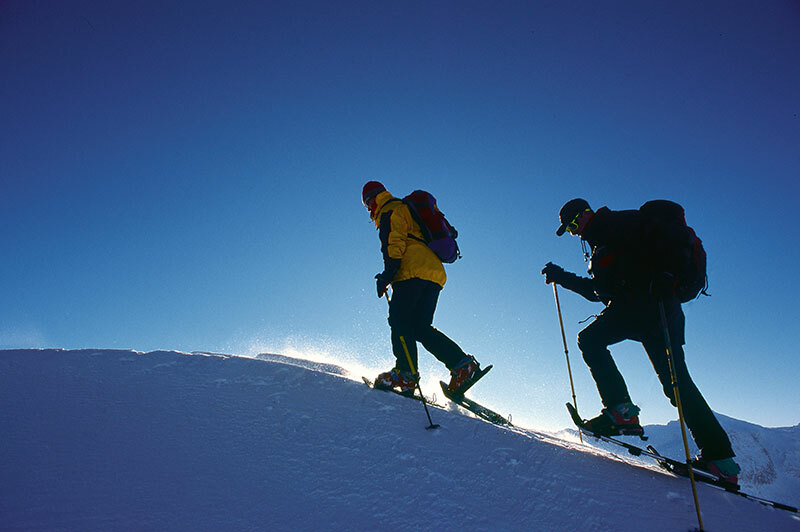 If you aren’t too keen hiking on your own, you can sign up for guided snowshoe hiking tours. 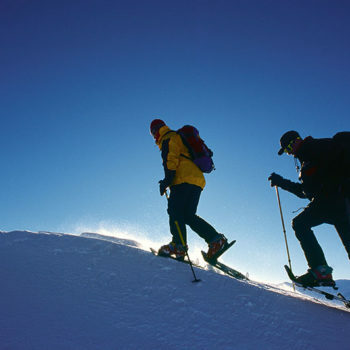 For those who enjoy hiking on foot, there is a wide selection of winter hiking routes. These vary from cleared roads to snow-covered trails in the terrain, and from easy to more demanding. Which trails are open, depend on the snow depth. Furthermore, the area around Mittersill offer several beautiful sled runs, including a 14-kilometer-long sled run at Wildkogel Arena. This run is illuminated and open at night. Sleds and snowshoes can be rented on site or at local sports shops. 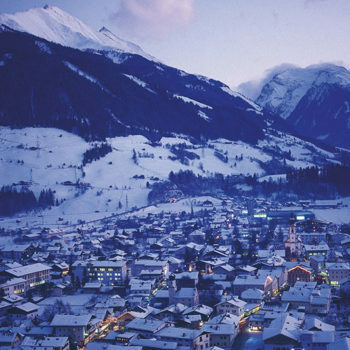 Mittersill and Resterhöhe are located in the middle of the Hohe Tauern National Park. With its 1,800 km2, this is one of the largest areas in the entire Alpes region that is protected. 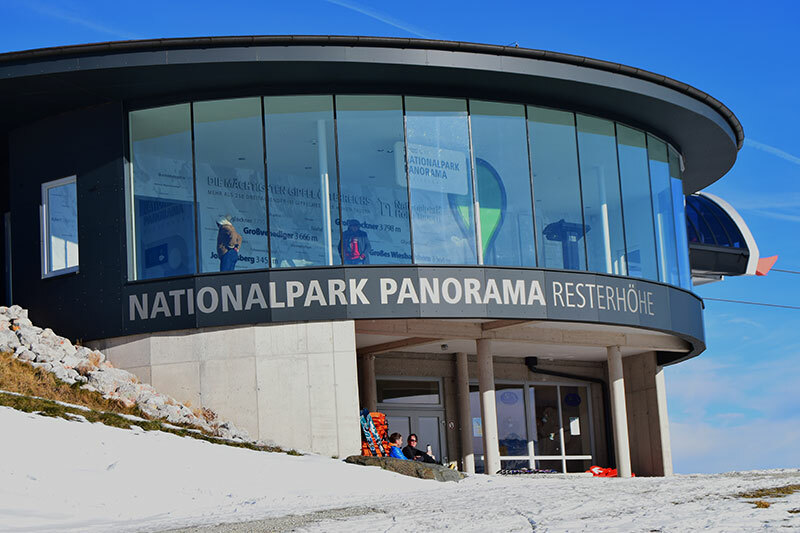 You will find a small national park center with information, next to the Kitzbüheler Alpen Panoramabahn cable car station at Resterhöhe. In Mittersill you can also find an adventure centre called Nationalparkwelten. 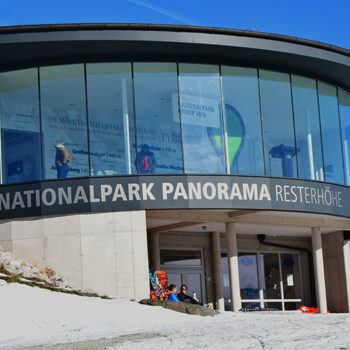 It hadn’t opened yet when we visited, but we have been told that it is well worth a visit, if the weather is not suitable for skiing or you simply want a break from the snow activities. The lovely town of Mittersill with its 5400 inhabitants is located 790 m above sea level, in the middle of the Alps, in a long east-west valley. 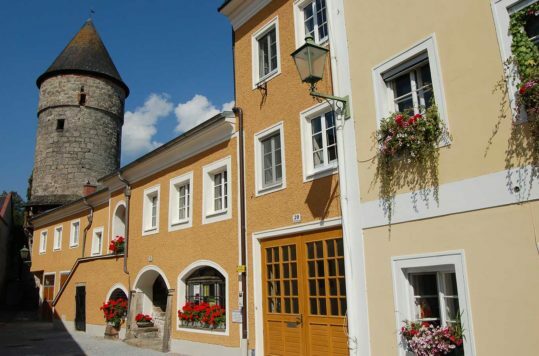 This is a typical idyllic Austrian alpine town that has preserved many historic buildings and where you find a small square in the middle. Most shops, eateries and other useful services are within walking distance. The first time we were in Mittersill it was December. Hence, we had to take a look the Christmas Market on the main square and the nearby side streets. Thus, we got some of the Christmas shopping done as well. Although Mittersill is not large, we found a good selection of restaurants places scattered around the town.